First manufacturing a high end smartphone then working on its mini version is becoming a trend these days and we’ve already seen brands like Samsung and HTC following it. This time it’s Sony which seems to be working on the miniature version of its just announced Xperia Z1. According to an image leaked few days ago, Sony is into manufacturing of Xperia Z1 mini which is expected to get announce at CES 2014. Sony started its Z series smartphone at CES 2013 when they launched Xperia Z. The Xperia Z1 mini is expected to have 4.3 inch display while the actual Xperia Z1 got the 5 inch display. The resolution will also be set down in order to minimize the cost of the device and the expected resolution is 720p. The display technology is expected to be the same and Sony won’t remove the Bravia Mobile technology from it. X-reality feature is also expected to be there in the device. As per leaked specifications are concerned, Xperia Z1 mini is going to run on Qualcomm Snapdragon 800 chipset which is the latest version of Snapdragon. I don’t think this chipset is going to be part of Z1 mini as it won’t help Sony to reduce the cost. According to me, Z1 mini can run on Snapdragon 600 chipset that will be clocked at 1.7GHz (at least) and there will be at least four cores to manage multi tasking. The internal RAM is going to be 2GB while the internal storage will move down to 8GB. Expandable storage option will also be there for sure. The Z1 mini will resemble same design as of its parent Z1. Sony will also make it water and dust resistant as these two features are helping high end Xperia to get customers. As the display size is going to 4.3 inch so the overall size will also shrink. It’s expected that Sony brings its G lens technology to the Z1 mini too. If it comes true then this is going to be great for the users as they will be getting high quality pictures without paying for the actual Z1. To get hands-on, we have to wait till next CES event which will be live next year. So there are almost four months between the Z1 mini gets announced. 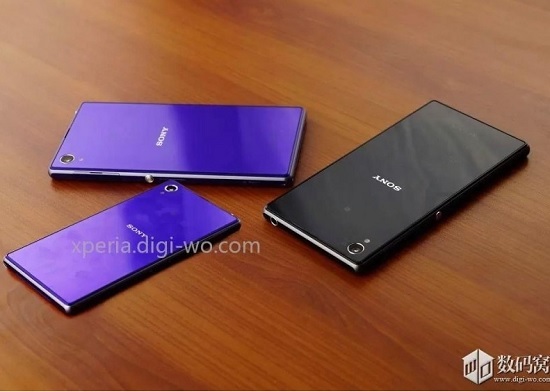 Sony will launch the Z1 mini in similar three colors like actual Z1.